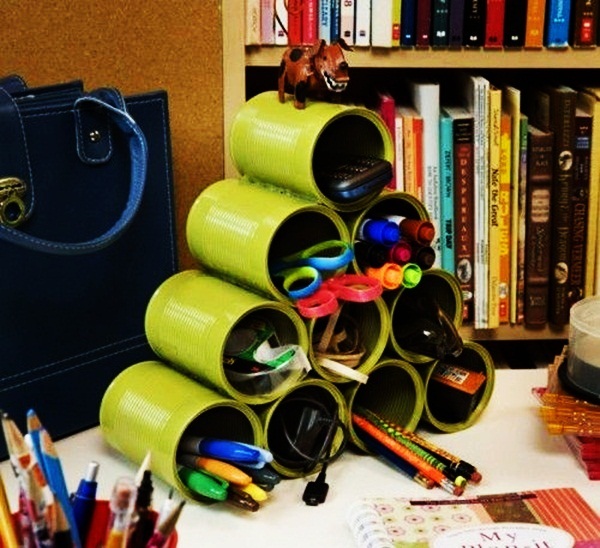 Home » Designs » Best 30 Creative Tin Craft Projects: Be Innovative! Creativity and innovative ideas are never confined to specific materials that help in designing of your house or workplace. 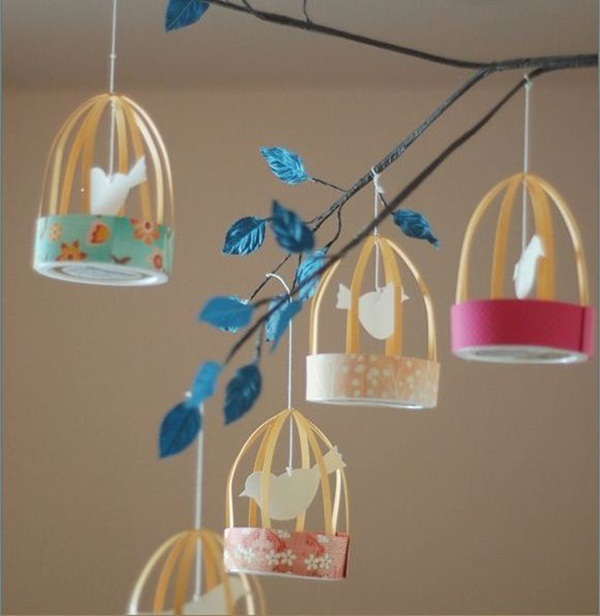 Creative Tin craft projects have gained huge prominence owing to the different innovative ways in which different articles are made from tin. 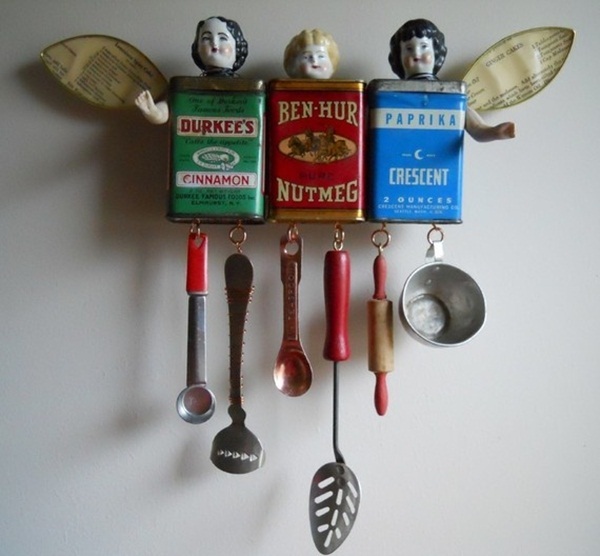 Expand your horizon and implement some wonderful ideas in making beautiful tin projects. 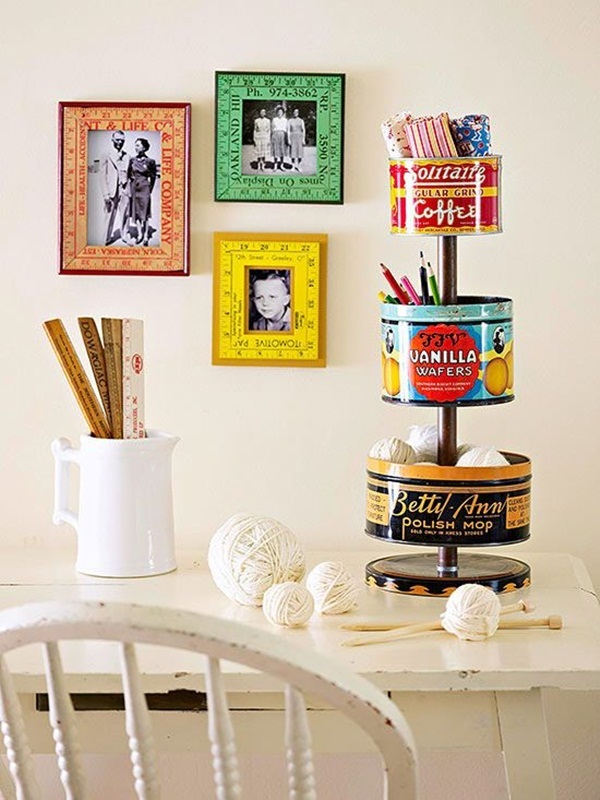 These articles will add to the classy home decors and also give your house a hand-made touch. 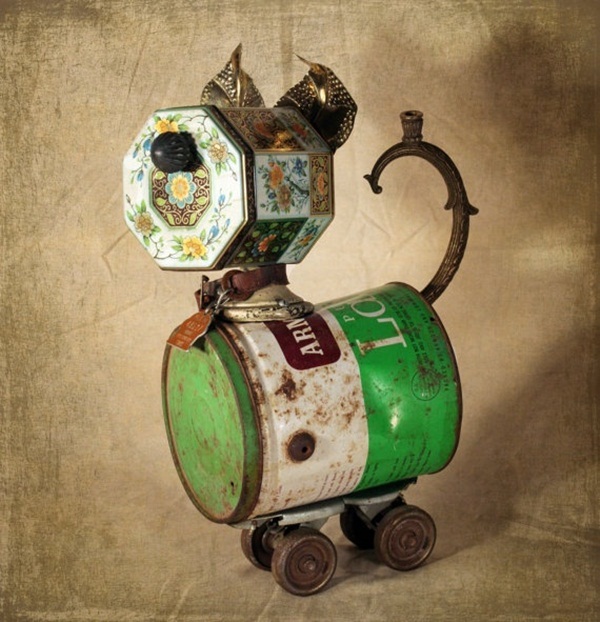 Tin Can vases are wonderfully made from tin. You can use elite tin brought from famous shops and suggest deigns to the makers who will present to you a well-finished craft with perfect polished and finished edges. 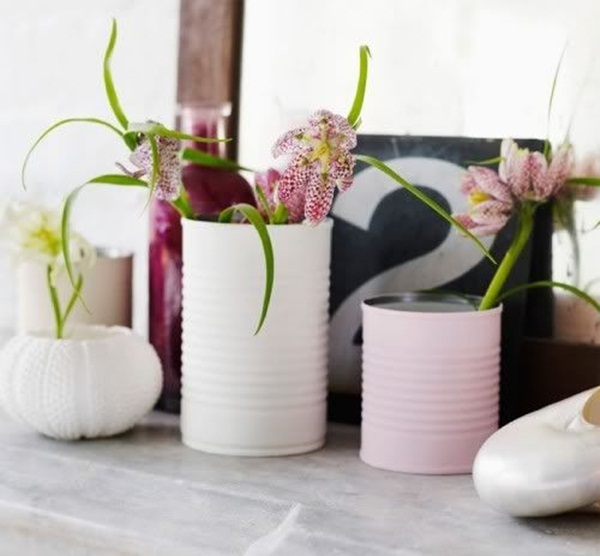 These vases can be of the following different types. Simple tin vases are economic but when embellished with beautiful design and carved with smooth and polished corners that give your humble home an amazing decoration. These vases can not only be brought from markets at frugal prices but can also be hand-made seamlessly. Care must be taken that the sharp and rough corners are polished. The cans for various drinks can be employed for this effective purpose. 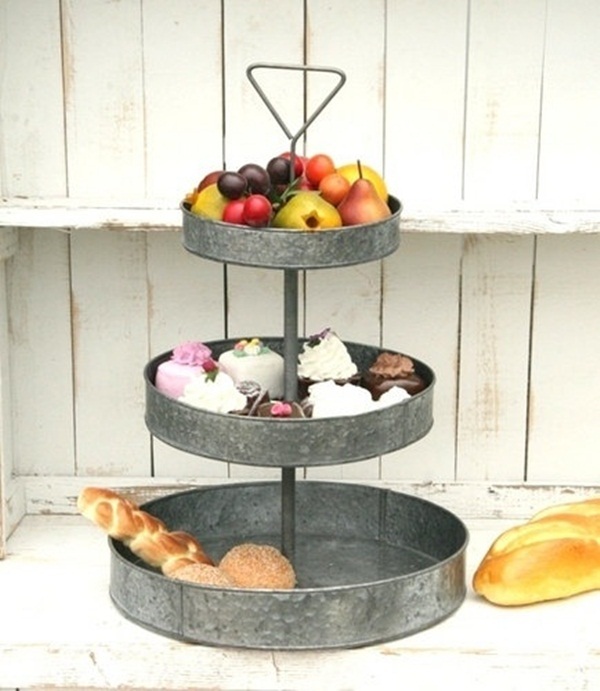 It is not only money saving but also highly attractive with its simple and elegant design. 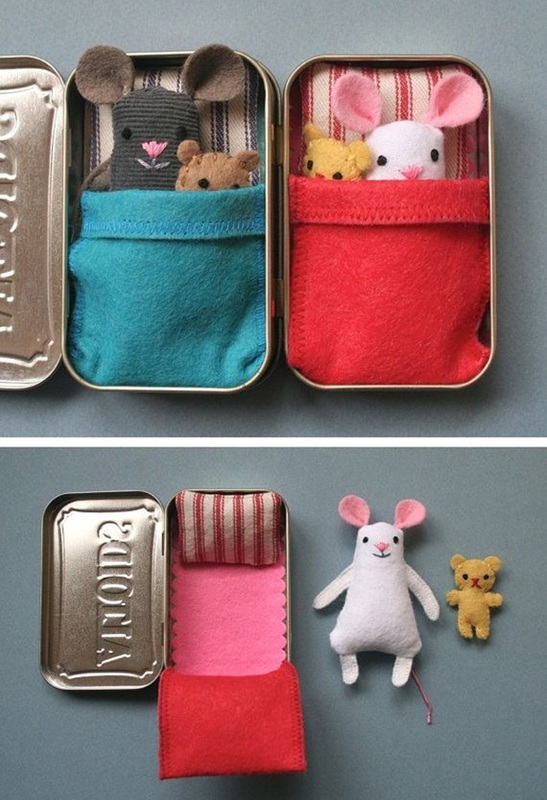 This is yet another attractive tin craft project that involves the making of beautiful food containers. 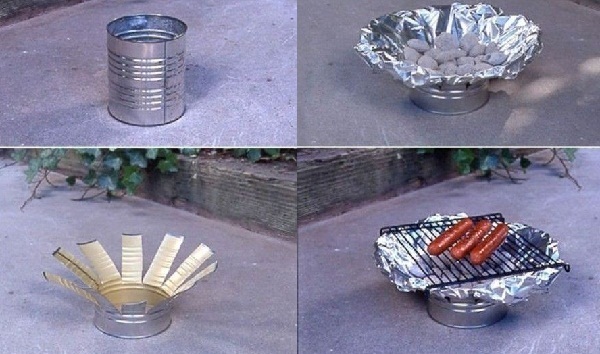 The following ideas can be put into efforts to make amazing food containers using tin. Containers are more or less in the shape of vases that are carved a bit differently with interesting ideas. 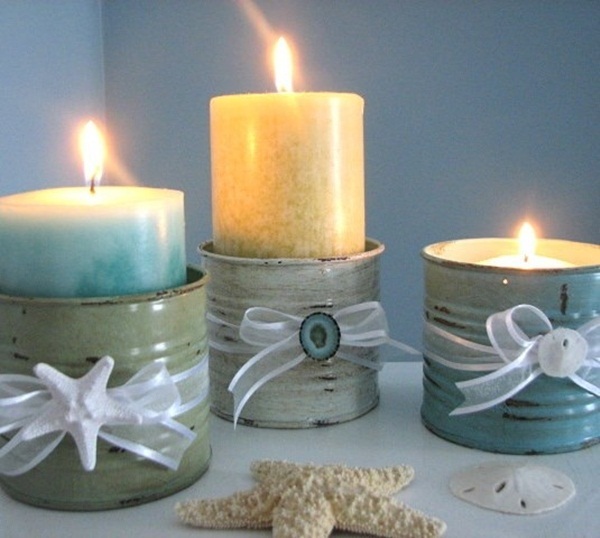 The containers can be wrapped with scintillating papers or painted with bright and radiant colors. Different patterns and designs can be made on them. 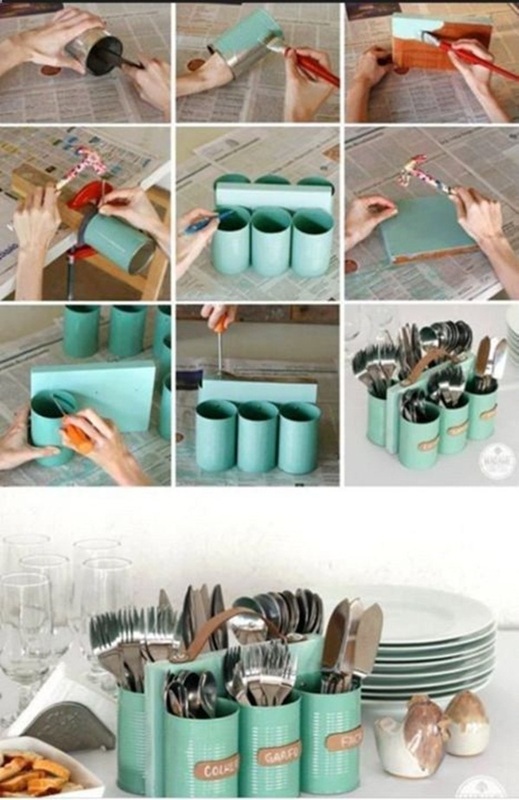 The tin containers are cut into various shapes including the different geometrical shapes like circle, rectangle or square and can be a splendid holder for spoons or other crockery. 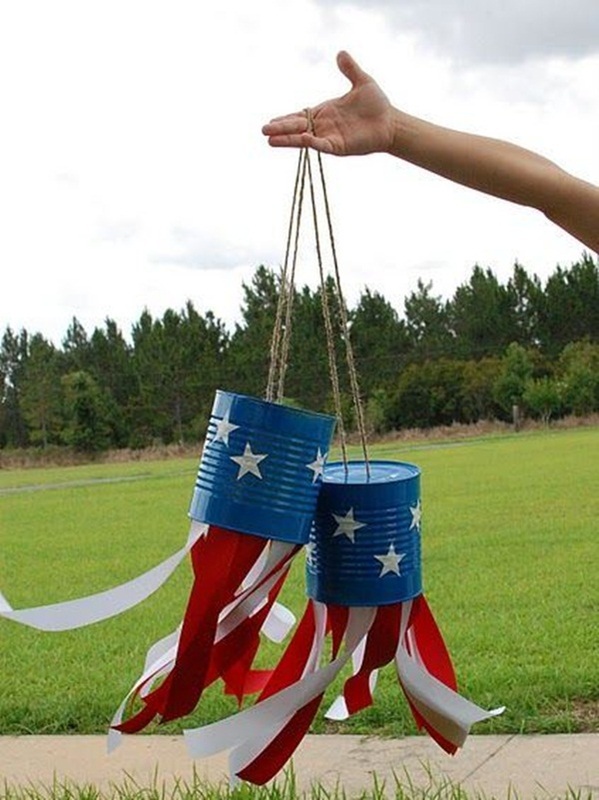 A circular or oval shaped tin can be taken and cut appropriately. Proper electrical connections made from the base will connect a lamp. 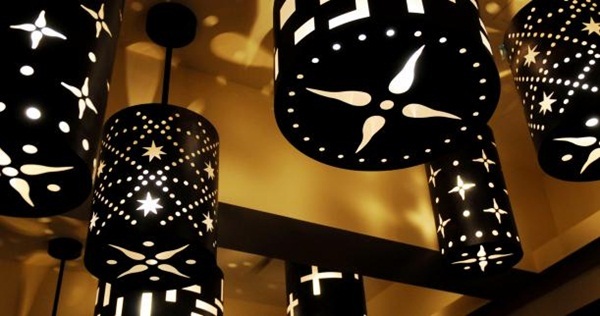 It will illuminate your room with dazzling light and fulfill various purposes. The reading lamps can be made in an elegant and modish style and with extremely skilled touches it can be given an optimum finish. 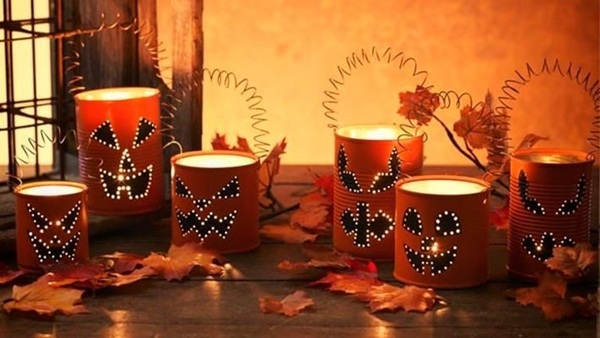 Simple lamps can be made at home by using old tin containers and making suitable lamps used by your kids as study lamps. 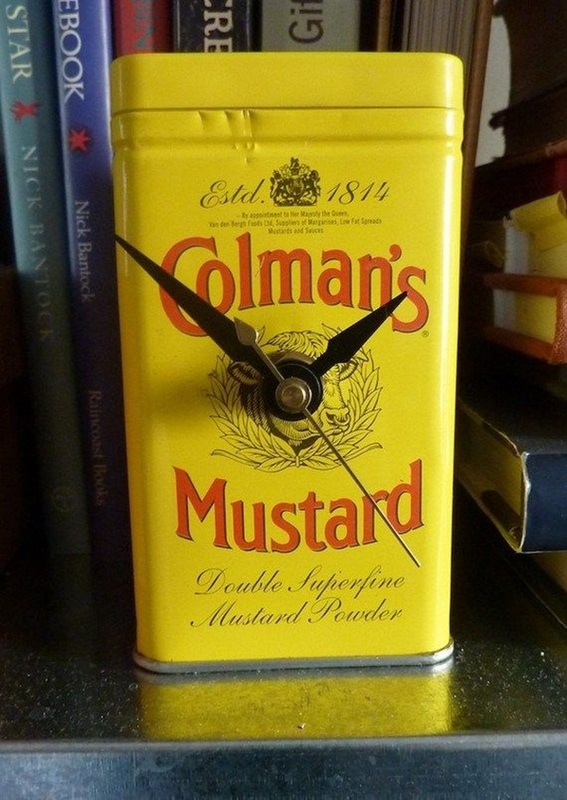 Now see the time in an amusing tin clock that is made from the tin lunch boxes of your toddlers or school going kids. Here are some amazing tips for it. 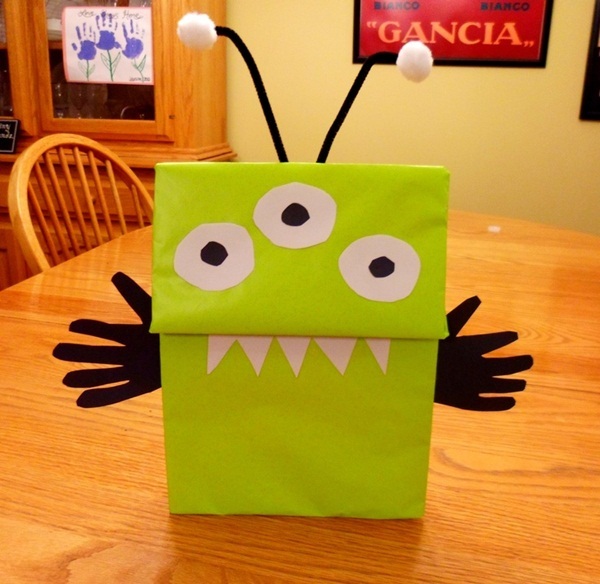 Use the cover of your lunch box cut it into the desired shape. Fix the hands of the clock. 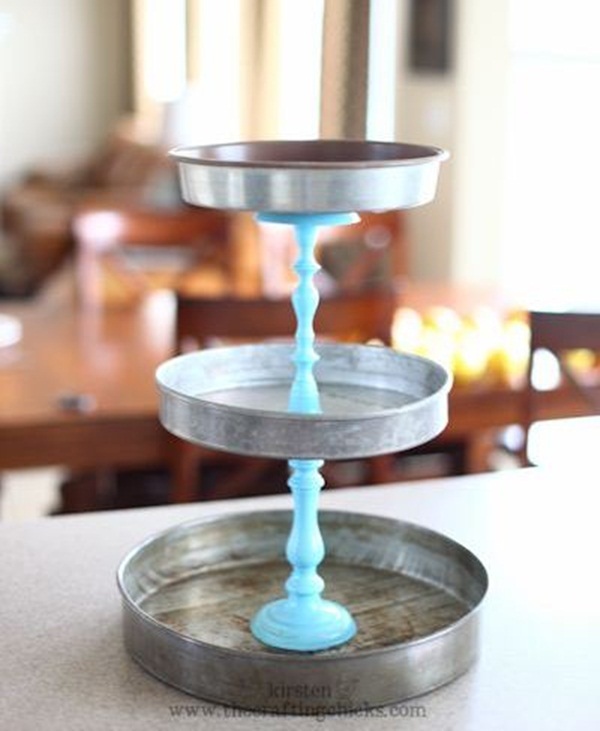 Paint the background or design it with different materials and decorate the appearance of the tin clock. An electrical connection fitted with a battery makes it complete. See the time and relish the beauty of this hand-made clock. Such tin clocks are marvelously and impeccably designed in many reputed shops and sold at reasonable prices. Home decors, study lamps and even food containers in restaurants are the different innovative designs and crafts from tin. 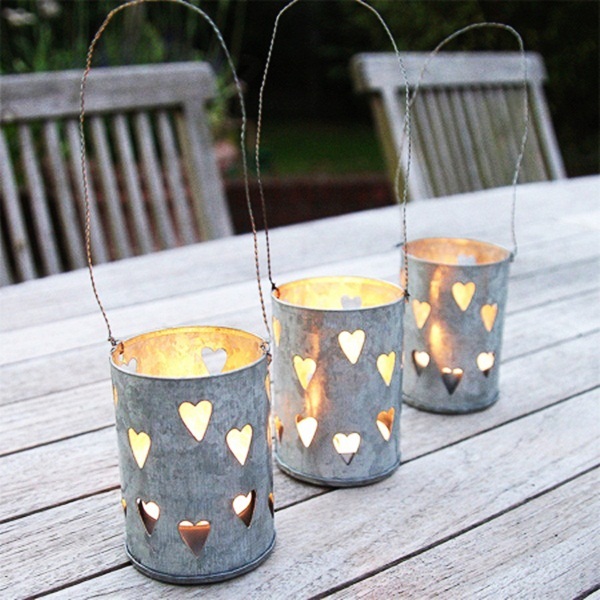 Have you thought of using crushed and crumpled tin cans? 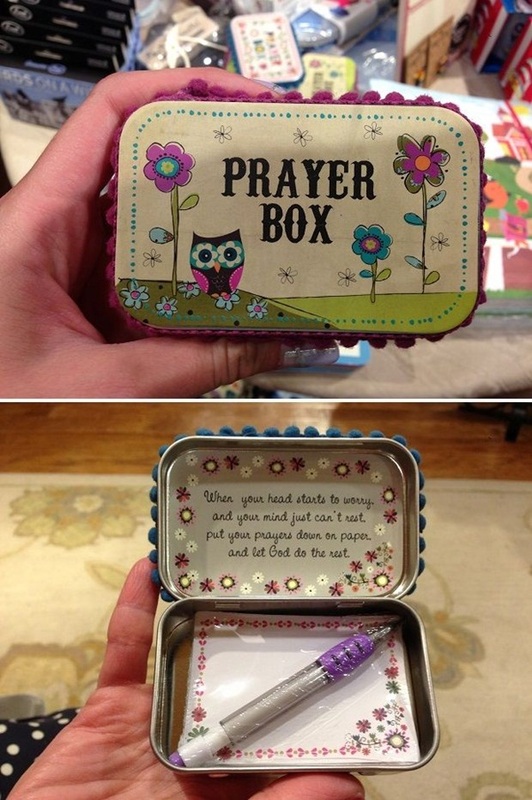 This is an excellent use of reused tin containers. 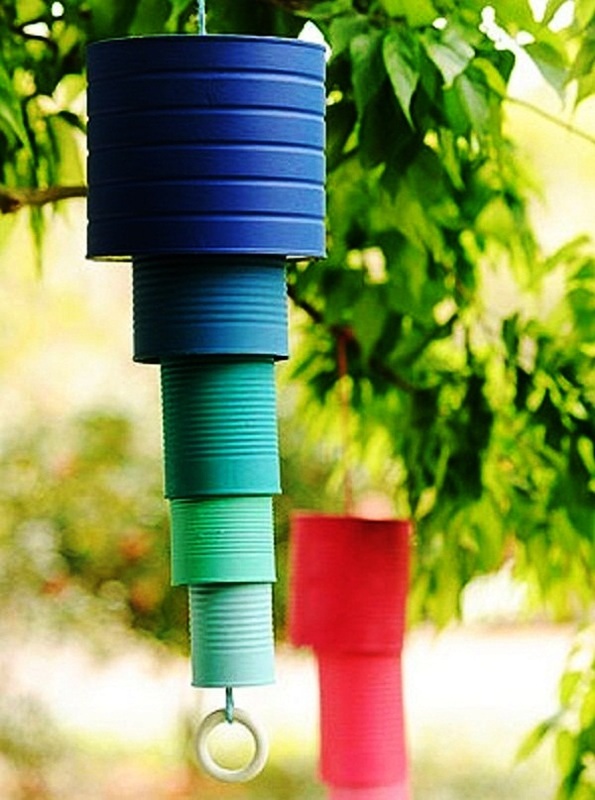 Grab these ideas and craft a wonder can that will be helpful in beautifying your garden. Crush the can from all sides and place flowers in it. Crush it in a way that there is sufficient space for the storage of flowers. 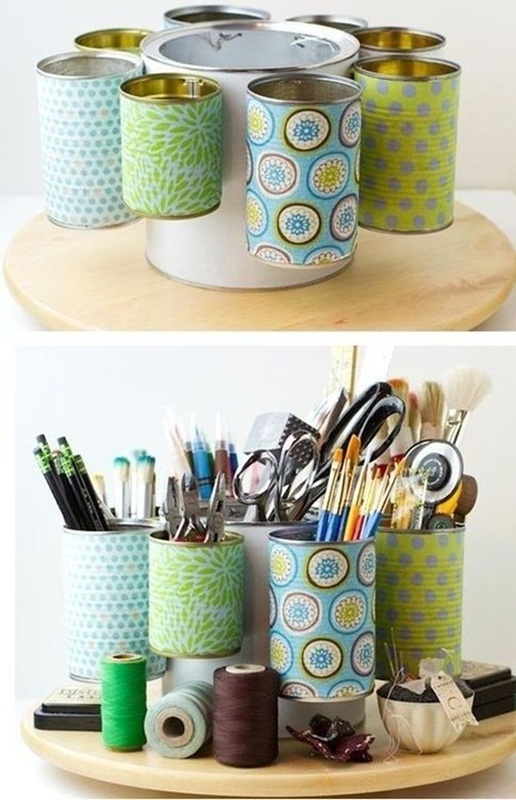 Paint the crushed cans or wrap them with water-proof colorful papers to give it a pleasant closure. Your wardrobe is overflowing with your excess clothes and accessories. 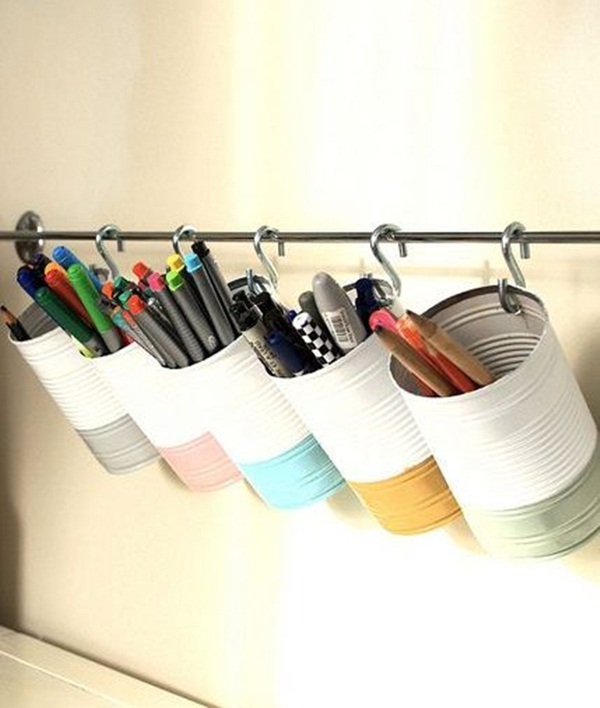 Use simple cans to organize the stuffs in your closet. 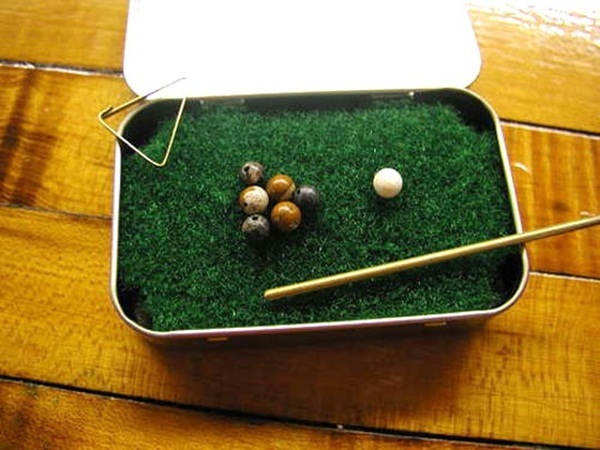 A jewelry box or the hair pin holder can be shaped from a tin container. 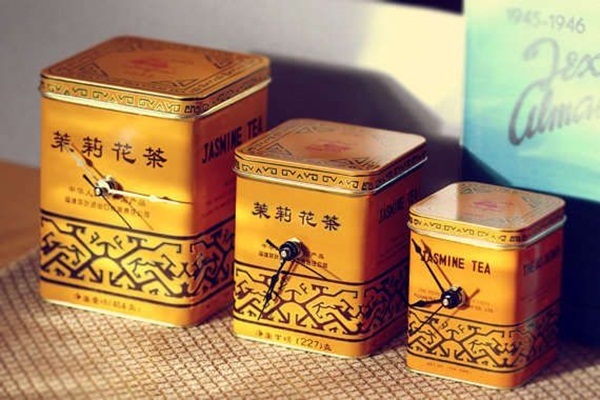 You can even store all the different shades of your nail paint or mascara in these beautifully carved tin cans. The shape is carved brilliantly and different ideas can be tried. 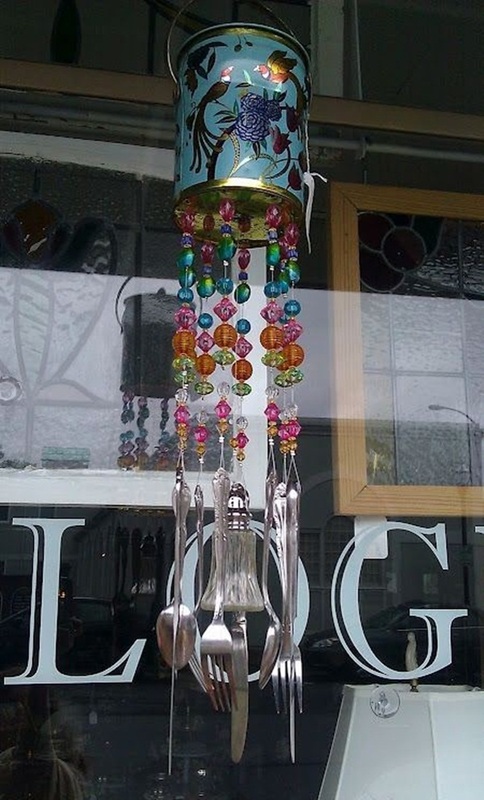 Candle stand, wall-hangings, wind-chimes are also made from tin. A wide range of curio-pieces are skillfully designed to fit into the shelves of your house perfectly. 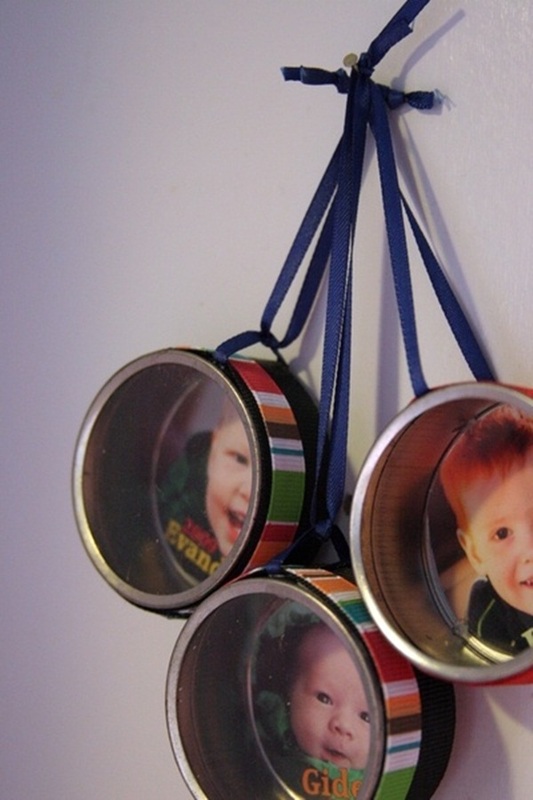 Here are some more amazing Ideas which will help you to create something amazing with used Tin cans and Boxes. What are you waiting for? 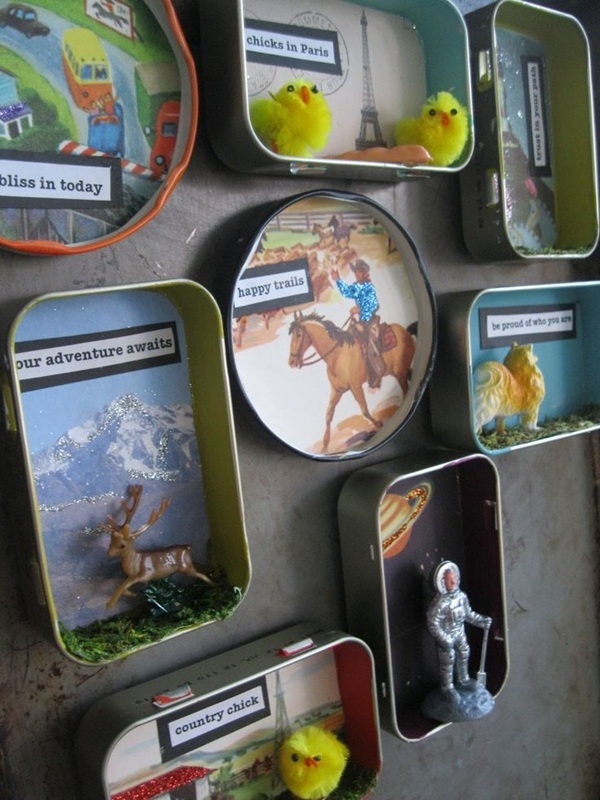 Collect some tins boxes and make something innovative! 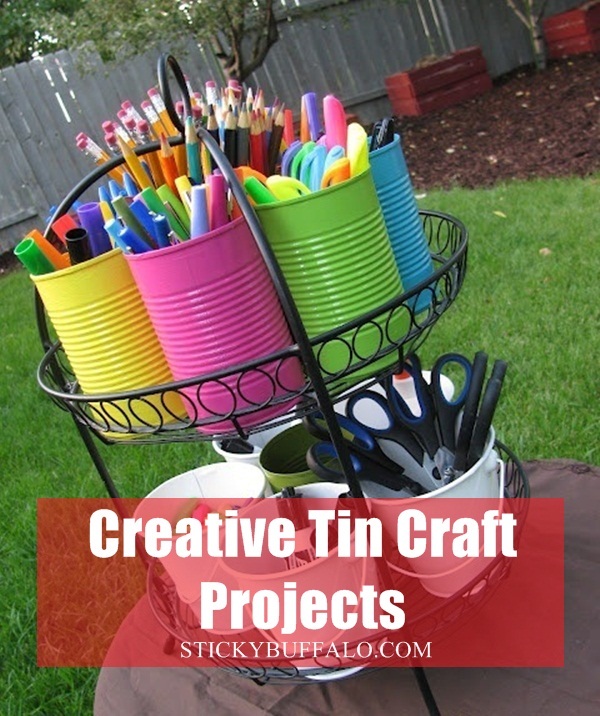 These are some of the astounding ideas that inspire creative tin craft projects. These notions are extremely thrifty and can be implemented with ease and comfort. 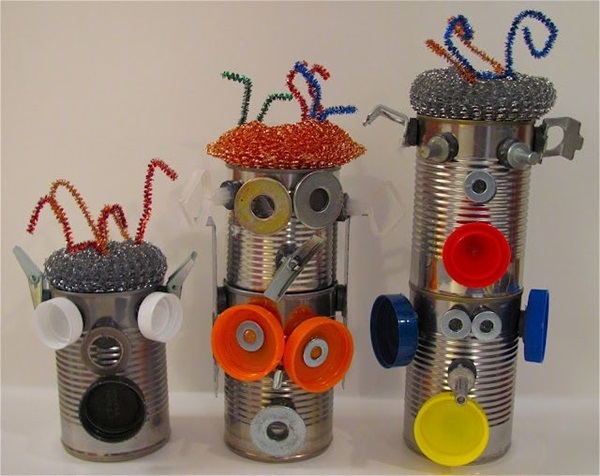 Re-cycling of tins or re-using the waste tin containers in an innovative and creative ay will make various tin cans like food cans, vegetable cans or even pen holders and different types of stands. 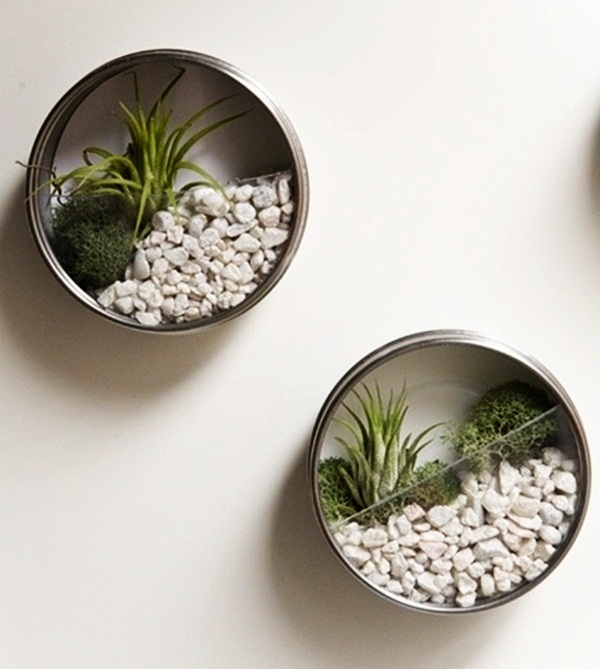 Have fun in crafting beautiful tin containers at reasonable price and relish its beauty.